With the rise of internet-based and work-from-home jobs, more and more people are looking for ways of sprucing up their home office. Sometimes, working from home can seem just as monotonous as any other office job, leaving people to desire a change of scenery and different places to work like coffee shops, bookstores, or anywhere else they can plug in their laptop. 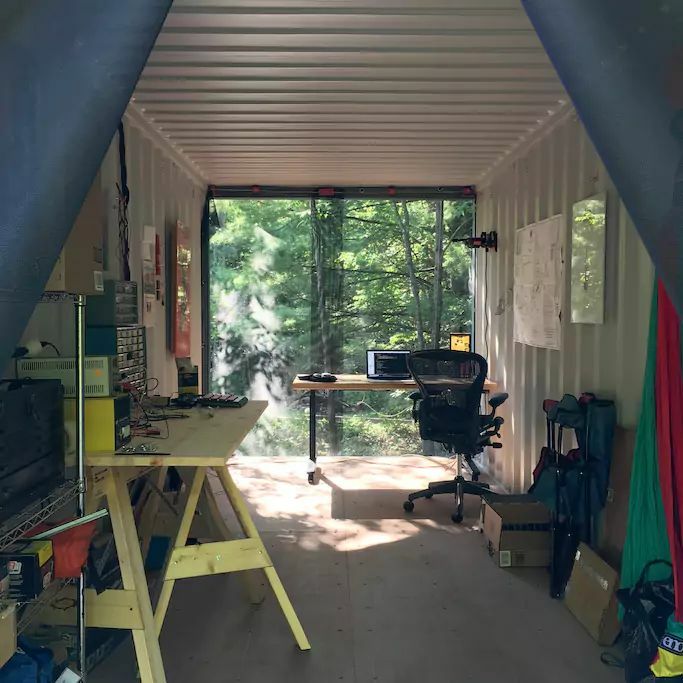 This particular Airbnb host, Mark, recognized the challenges of working from home and created a unique retreat for those looking to get away and experience something new. 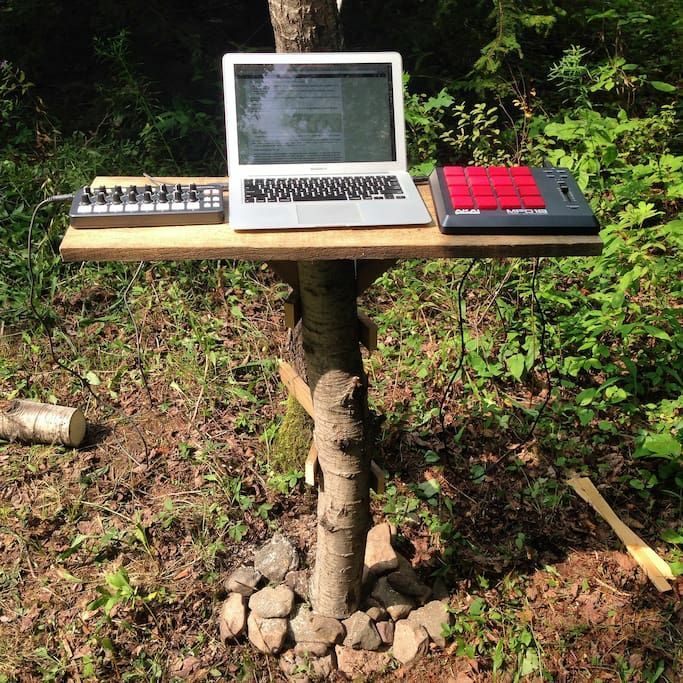 His "Information Worker's Forest Retreat" is a gorgeous off-grid campsite deep in the woods of the Catskill Mountains. On the site, sits a vintage Airstream camper as well as a shipping container office. To see all of the marvelous features, check out the images below. This Airstream will keep you warm and cozy at night. 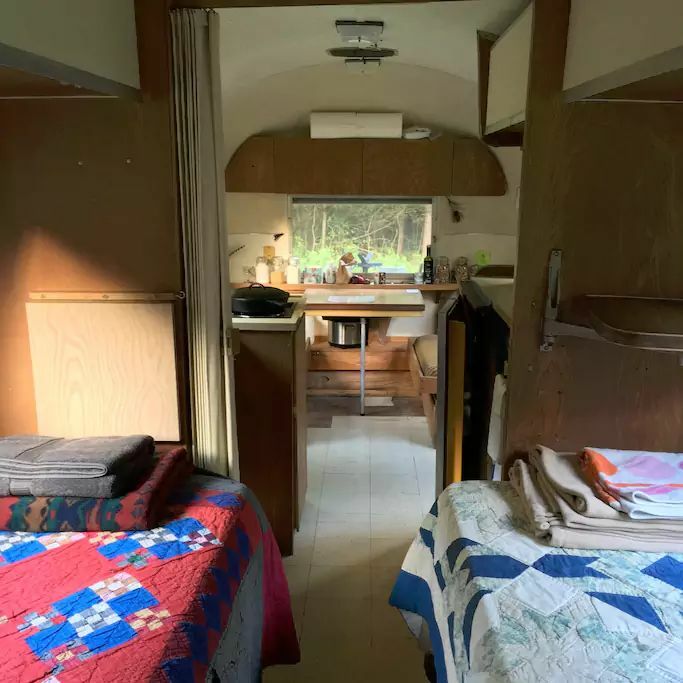 Inside, you will find two twin beds, a minimal kitchen, and a dinette. 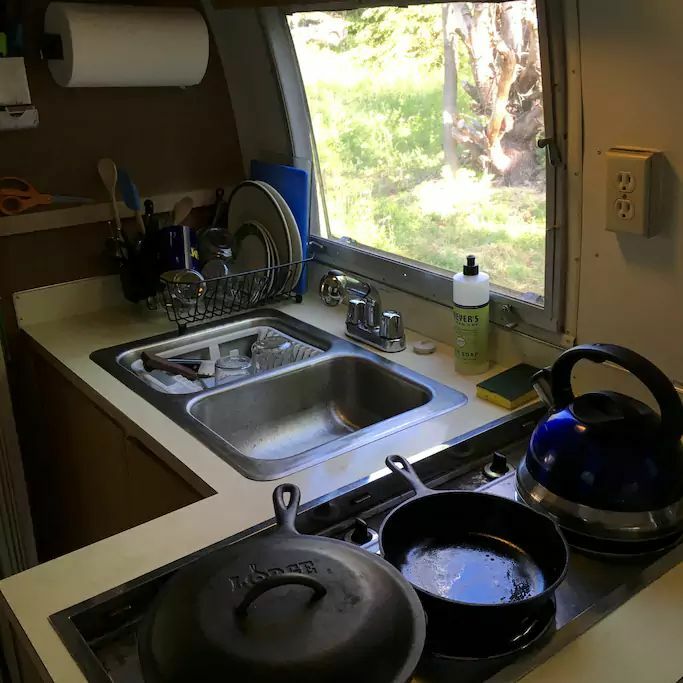 The kitchen features a three burner propane stove, a fridge and freezer, as well as a French press and kettle for coffee and tea. Guests can feel free to use the herb garden or take a short walk to a local farm for fresh meat and eggs. 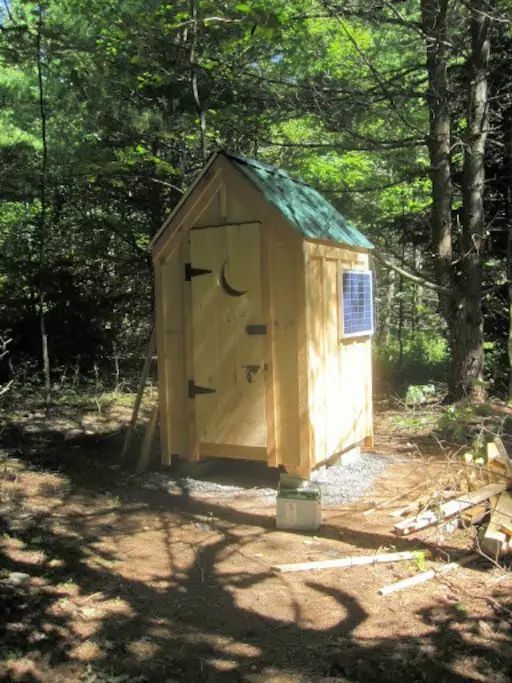 Because this site is completely off the grid, a composting outhouse is used rather than a regular toilet. The site is also equipped with solar panels, rainwater catchment system, and satellite internet. ...but why limit your work to the indoors? Can you imagine working in such a beautiful place? 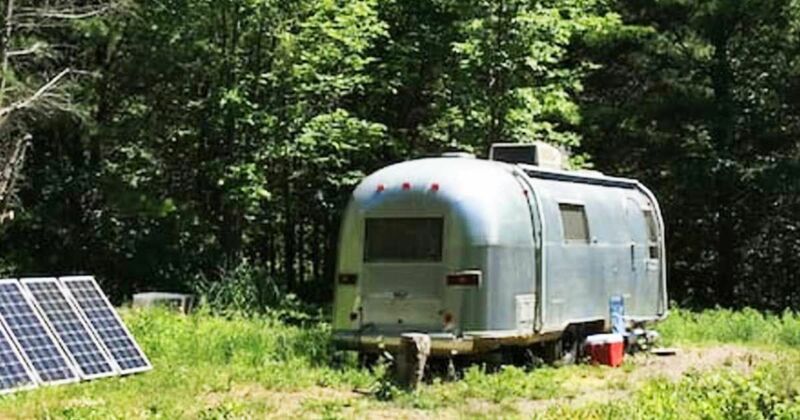 Share this Airstream retreat with your friends who would love to visit!